Wykamol Thor Helical CD Wall Ties 9mm x 230mm Bag of 50 Ties (CDT-230-50). Remedial wall ties for rapid cavity tie replacement and brick pinning. 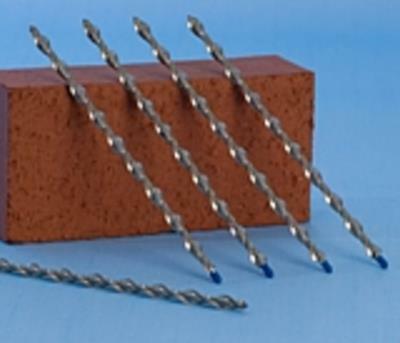 Self tapping 9mm replacement cavity ties screw in to brick, masonry, or concrete when hammered into pilot holes using the impact action of a hammer drill, grips within an interlocking helical undercut.